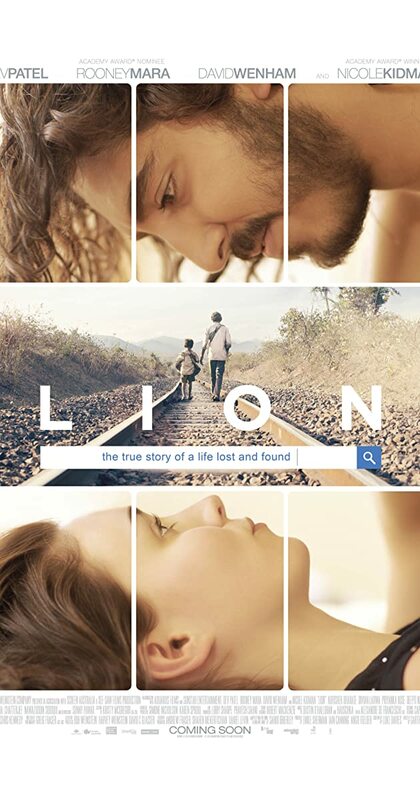 Directed by Garth Davis. With Dev Patel, Nicole Kidman, Rooney Mara, Sunny Pawar. A five-year-old Indian boy gets lost on the streets of Calcutta, thousands of kilometers from home. He survives many challenges before being adopted by a couple in Australia. 25 years later, he sets out to find his lost family.